Paperback, 6.75 x 9.25 in. / 308 pgs / 350 color. 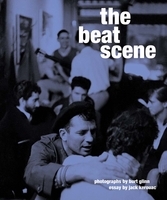 Text by Joao Fernándes, François Piron, Patrick Besnier, Annie Le Brun, Astrid Ruffa, Linda Henderson. Few writers have had a greater impact on the methods of art-making in the twentieth century than Raymond Roussel (1877–1933). 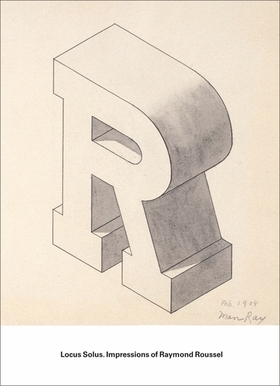 Marcel Duchamp acknowledged Roussel as the foremost influence on his “Large Glass”; André Breton described him as the “greatest magnetizer of modern times”; and at least two generations of conceptual artists, from Allen Ruppersberg and Guy de Cointet to Rodney Graham and Paul Etienne Lincoln have borrowed or adapted Roussel’s “procédé” for writing, which involved selecting two similar-sounding words, elaborating them into two similar-sounding sentences and then “writing a tale which can start with the first and finish by the second.” Reproducing a wealth of archival materials, artworks and writings, this volume--a kind of Roussel encyclopedia--assesses the writer’s legacy in art for the first time. 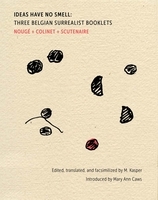 Alongside works by the above, it includes art by Max Ernst, Salvador Dalí, Joseph Cornell, Ree Morton and others; and writings on Roussel by Jean Cocteau, Paul Eluard, Michel Leiris, Duchamp, Dalí, Philippe Soupault, Ernst, Breton, Ruppersberg, Michel Foucault, Jacques Brunius and Michel Butor. 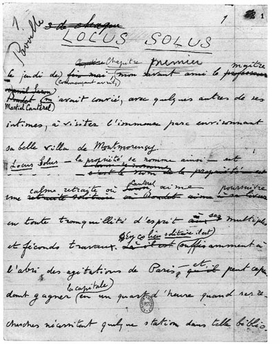 Featured image is an undated page from the manuscript of Locus Solus. "Until 1914, Roussel lived in a world dominated by high society, luxury, and money. In his mother’s glittering salons, he met the great figures of the artistic and literary world—the singer Rose Caron, the novelist Paul Bourget, the painter Madeleine Lemaire, the musician Reynaldo Hahn, for example—which led to his submission to a conventional aesthetic ideal, and an indifference to the avant-garde, which was then in gestation. Thus was born one of Roussel’s singularities: his imperviousness to anything that was not official culture. The catalogue for the auction of Mme Roussel’s collections after her death reflects this opulent, traditional taste. This society made Roussel aware that social relationships were a form of representation. Everyone has his role, just as Roussel did in his imitations of famous actors. It was all more or less a form of theater, with frequent festivities and costumed balls, as seen in the photographs of the Roussel family in fancy dress, or Mme Roussel garbed as the pathetic 'Lesbia’s Sparrow'; theater was a part of everyday life." —Excerpted from Chapter I of Impressions of Raymond Roussel: Locus Solus. 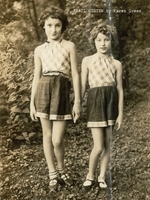 FORMAT: Pbk, 6.75 x 9.25 in. / 308 pgs / 350 color.